Expanded Enemy Window is a trivially simple graphical mod that slightly expands the enemy window (duh), allowing you to see more of the ship you are currently fighting with. -- I hoped for something bigger. Why is it so small? The frame is exactly 30 pixels wider and 26 pixels higher. The reason for that is due to the way FTL is programmed -- trying to make the window any bigger causes its rightmost part to fall outside of the game's screen, instead of extending leftwards. So admittedly, it's not really significant, but hopefully useful to some marginal extent. The mod is purely graphical, therefore it causes no dramatic compatibility issues. It'll obviously be at odds with other UI mods that change the enemy window (FTL Remastered, for example), but it will only be a matter of which mods' effects take precedence. - Reworked the frame to cover less area and thus provide more vision. - Modified the upper part of the frame to not obscure the "ENEMY FTL CHARGING" text. Last edited by kartoFlane on Sat May 21, 2016 7:20 pm, edited 2 times in total. Can we use this mod as a part of a different one, as long as we give credit? Sure. It's already used in such a fashion in CE, so there's no problem whatsoever. Hey the link to the Dropbox download seems to have 404'd. Are you able to rehost it somewhere like Mediafire or something? Now that's a thread I haven't seen in a long time... Updated the link. I love the simplicity of this mod and had an idea to improve it slightly. I think it'd be helpful that if the player had a crewman in the security room (or after it has been upgraded) it'd be nice to have a display of each enemy to the right of the enemy ship display. To stick with the minimalistic design maybe display the enemy icon with their health underneath and current location on their ship (for taking them out if needed). To the right of the enemy crewmen maybe a display showing whether they are currently mind-controlled (maybe a small bar that displays remaining MC time) also the teleporter icon appearing if they have boarded your ship (updating their current position to where they are on your ship maybe?). Lastly maybe it would be possible to mouse over an individual tooltip showing their skills per system to help with prioritization. I'd imagine a decent amount of this wouldn't be too difficult, a couple if/else statements to grab the locations of the crewmen, static calls for health and an if statement with a timer loop for Mc debuff, etc. They're just ideas so I appreciate you taking the time to read this. I plan on learning more about FTL modding so if I figure out some of the above functions I'll happily post them here if you are interested. Regardless, thanks for the mod! Sorry but what you’re proposing is completely impossible. 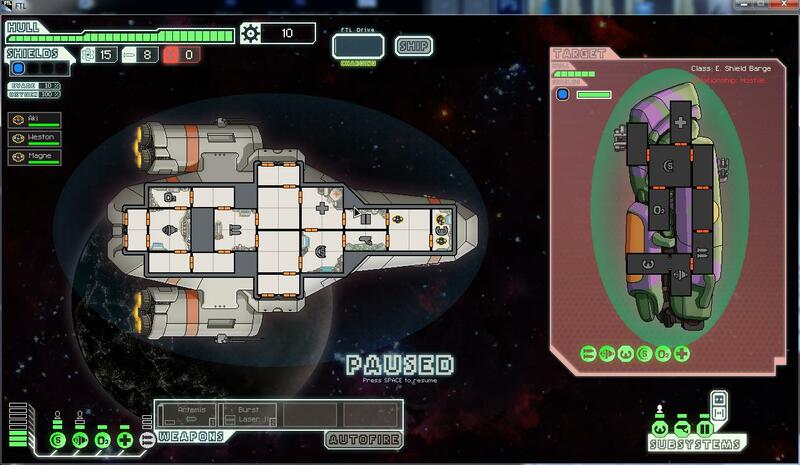 This would require to mess with the hard coding of FTL heavily, which is currently extremely hard. You should also know that FTL modding doesn’t not involve ‘if, else’ style statements, the exact nature of FTL modding is finicky to say the least and a bit complicated to explain here. Jumbocarrot0 wrote: Sorry but what you’re proposing is completely impossible. 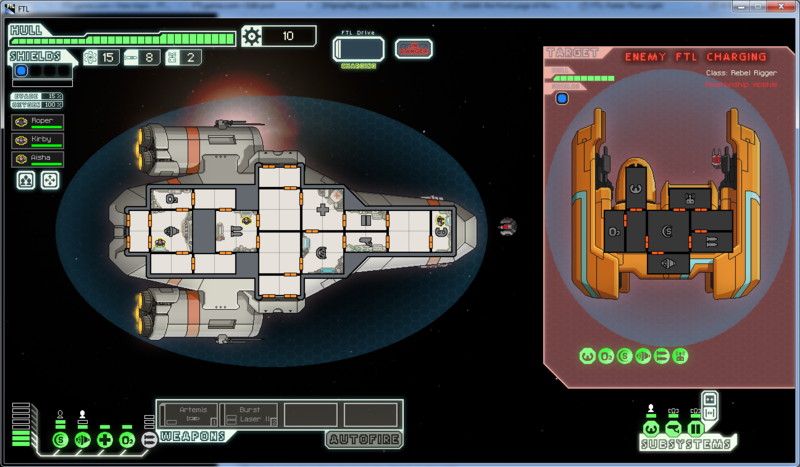 This would require to mess with the hard coding of FTL heavily, which is currently extremely hard. Yeah, after posting this I took a look at exactly what "modding" entails for FTL and realized pretty quickly that wouldn't be feasible (maybe we can hope for more if an FTL2 every comes out). Luckily the modding for this game is pretty straightforward (at least as far as I have seen), I just assumed event scripting was via .lua or something when I posted that but I just made a Frankenstein mod by combining Descent, Shiny!, and the Beginning Scrap Advantage into one mod file and it took like 15 minutes. Just chalk up my original reply to inexperience with FTL's architecture. I want to inform you that I was using in my last few games this mod version 1.2 with CE and some other stuff, but it's not working anymore. Reason is probably new verision of FTL 1.6.x. There are some alignement problems and double texts. I loaded it before CE and after CE.